Electrosynthesis is performed by passing an electric current through a reagent solution, causing oxidation and reduction of organic molecules by addition or removal of electrons. 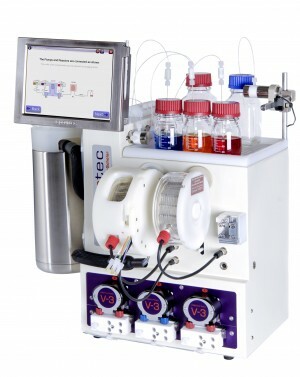 Electrosynthesis has a number of advantages: It is possible to generate reactive species without the need for hazardous oxidising and reducing agents; reactions are often highly selective and electrochemical reactions can be carried out using mild conditions. Electrochemistry defines the electron energy directly via over-potential, helping to avoid the formation of undesired by-products. By the principles of ‘Green Chemistry, electrochemistry has high atom economy and low waste. Electrochemistry is not a routine technique for the organic chemistry lab. 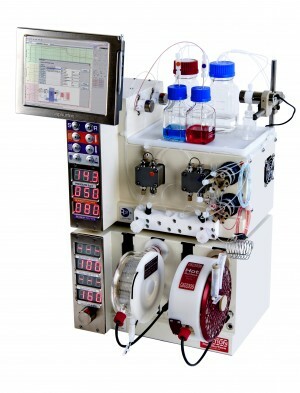 This is because equipment has never been in an easy-to-use format, and because batch electrosynthesis requires high concentrations of electrolytes. During the past 10 years there has been increased interest in electrochemistry generated by the drive towards green, atom-efficient chemistry. 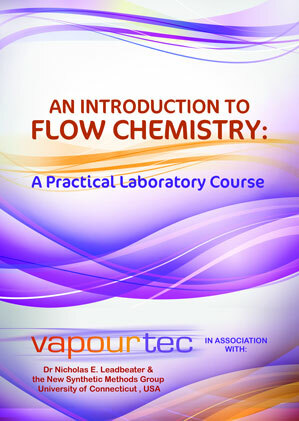 Integrating electrochemistry with continuous flow offers a powerful combination. Requirement for electrolytes can be eliminated and reactions have improved selectivity as the reaction products are removed from the reactor and are not allowed to mix with unreacted starting materials.